On a beautifully hot and sunny June day, we were exhilerated to create an event for 220 rookie PwC Interns where we transformed everyone into Wellbeing Warriors for the afternoon. The event was part of a two day internship induction programme, welcoming the candidates to their new teams and office locations. The afternoon created exceptionally fast bonds between individuals and teams, developing trust, communication and team work. Activities were designed around the 5 Ways to Wellbeing; using the key themes of Connect, Be Active, Take Notice, Keep Learning and Give to boost mental & physical resilience and create a fantastically fun atmosphere. 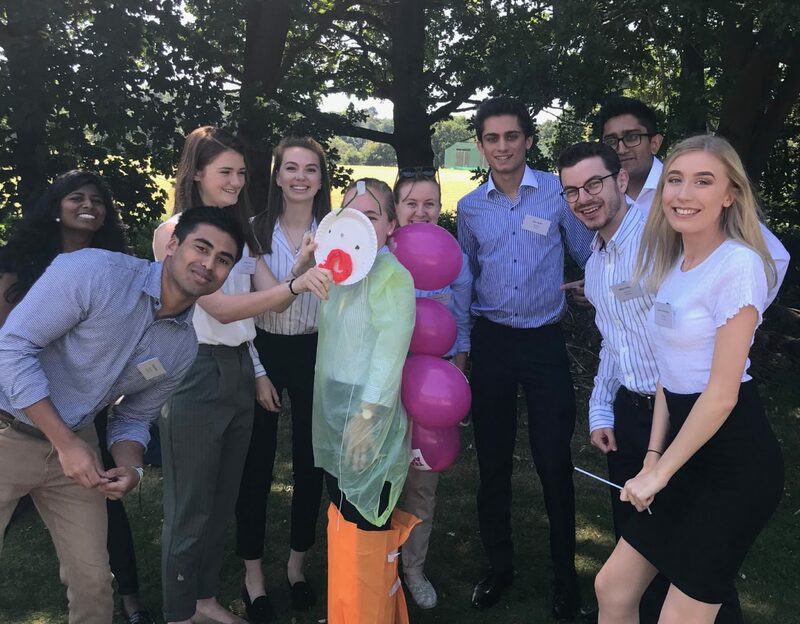 Teams worked together in office locations to solve 10 mental and physical challenges; displaying fabulous team spirit and a competitive edge around the grounds of the beautiful Beaumont Estate in Windsor. As well as awards for the highest scoring teams, we awarded plenty of spot prizes for individuals who showed values of an outstanding team player; motivating and assisting teammates, creating new solutions, innovative thoughts and encouraging clear, effective communication. Well done to all the interns and we wish you lots of luck with your year with PwC.